From one wonderfully ridiculous tracked vehicle to another now, and D-Town Cracka‘s gloriously unhinged ‘Belville T-42 ‘Sugercube’ Multiple Launch Rocket System’. Head to D-Town’s photostream via the link above to join the fight. When Theodore Harold Maiman built the world’s first laser back in 1960 it seemed like there was nothing it couldn’t do, with movies using it for blowing up people, blowing up plant pots, blowing up planets… you get the idea. The reality of Maiman’s invention was far more mundane though; reading CDs, scanning barcodes at the check-out, and removing your Mom’s unwanted hair. Fortunately Jon & Catherine Stead have put the laser back to a much cooler use – mining rocks in space! ‘Designed to cut away sections of rock from mountains, cliffs or crater walls of the moon to facilitate mineral extraction… via a huge, nuclear powered laser cutting system’, Jon & Catherine’s ‘Tracked Laser Mining Vehicle’ is reclaiming the laser for improbable space-related tomfoolery. This is a Volkswagen Type 166 Schwimmwagen and NSU SdKfz 2 Kettenkrad, and we’re going to simply call them the Schwimmwagen and NSU from here on in, because although they were opposing sides during the Second World War the Germans could give the Soviets a run for their money when it came to ridiculous vehicle names. The Schwimmwagen was designed under Ferdinant Porsche (he of VW Beetle and, er… Porsche fame) to help settle the argument that Germany, Italy and Japan were having with the rest of the world during the 1940s. Over fifteen-thousand Swimmwagens were produced, making it the most numerous amphibious car in history, each powered by a 25hp flat-4 engine that could drive either all four wheels or a propellor for when things got wet. Pictured alongside the Swimmwagen is the NSU which, whilst not quite as at home in the water, was incredible in the mud – being essentially a tank with handlebars. Both serve to remind us that whilst the Axis Powers thankfully lost the Second World War, the engineering they produced during the conflict was remarkable. These marvellous mini-figure scale recreations of two of Germany’s weirdest and most brilliant World War 2 military vehicles comes from TLCB favourite Pixel Fox, who has built each vehicle beautifully and pictured them in his trademark diorama style. There’s more to see at Pixel’s photostream – click the link above to get wet and dirty. With only two days until Christmas most of the Elves here at The Lego Car Blog have returned to the crumbling ruin that is TLCB Towers ready for their enforced ‘break’ over the holidays. This makes the office a noisier and messier place in the build up to their re-caging, and is something we’ve gotten used to over the years, but nothing prepared us for just how much noisier and messier this year would be. With the office stereo playing Christmas songs loudly on loop we weren’t paying attention to any sounds emitting from the Elves’ cage room or the corridor outside. Mistake. When we finally did notice that something was amiss, the Elven casualties were higher than anything that had gone before. There were Elves squashed into the carpet, Elves staggering around in circles, and even Elves unconscious on the top of shelves. One Elf though, was probably the happiest we have ever seen an Elf be, and it was at the controls of This. With an amazing Howitzer gun capable of deploying remotely and firing a Technic rubber-ended bullet (complete with re-coil), four remotely firing cannons up front, remotely controlled (but non-firing) gatling and anti-aircraft guns, and huge tracks driven by four Power Functions XL Motors, shadow_elenter’s tank is an incredible (if mad) example of the very best Technic engineering. Lego mining excavators usually appear here in huge fully remote controlled form. Not so today, as Michael A’s mining excavator is – being mini-figure scale – rather smaller. Surprisingly though, Michael’s build still features a fully functional arm and bucket, thanks to the inclusion of several mini linear actuators from the Technic range that can be hand-cranked via the wheels hidden throughout the build. It’s a neat trick and one we’d like to see more of in Town scale creations. There’s more to see of Michael’s working Town-scale mining excavator at his photostream – click here to take a look! 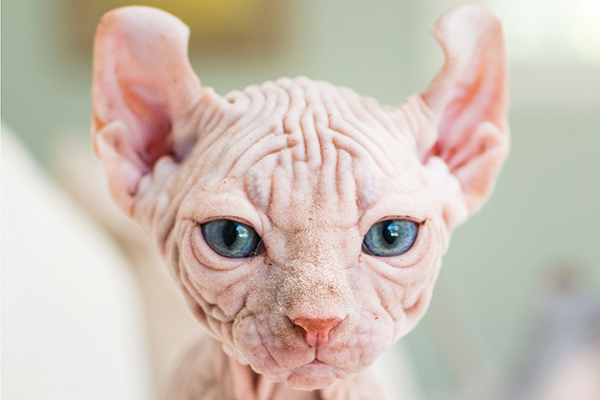 Smooth cats are usually properly weird. Not so this one, which comes from previous bloggee Sheo and is – as you can see here – exceptionally smooth. It’s a Caterpillar 320 hydraulic excavator and there’s more of it to see on Flickr. Smooth things over by clicking here. The wise words of The Beach Boys there, slightly altered by the morons here at TLCB Towers to vaguely fit with today’s creation. Ok, we butchered a classic, but is was either that or we’d have to use this again. Anyway, the build; it’s a surfer-van-mech of course, from deep within the obscure mind of Dvd of Flickr. We’ve not really got any more to say than that, so it’s probably best if you check it our for yourselves at Dvd’s photostream. Head to the beach via the link above! Even for Soviet Russia, this vehicle is weird. This is a BWSM 80, which sounds perilously close to something your Mom would be into, but was in fact a prototype Soviet design that fused a GAZ 53 truck with a DT 75 bulldozer to create… whatever the hell this is. In normal use the BWSM 80 operated as per a regular truck, albeit one with a track system suspended between the wheels. However in extreme conditions the BWSM could lower the track system thus raising its wheels off the ground, and thereby becoming a skid-steer tracked vehicle in the process. If, as we were, you’re struggling to figure that out, take a look at the video below! That video, and the creation within it, comes from previous bloggee (and apparent Technic wizard) Samolot of Eurobricks, who has recreated the Russian prototype in brilliantly-functional remote control Technic form. Two Power Functions L Motors drive both the wheels and the tracks, with some ingenious decoupling mechanism we’re struggling to fathom dividing the power appropriately between the two. A Medium Motor drives the lifting mechanism to deploy the tracks, which also feature suspension, and there are LED headlights up front too. There’s much more of Samolot’s wonderfully odd creation to see at the Eurobricks discussion forum via the link above, or you could just watch that amazing video again! Flickr’s Rat Dude has a very different idea of what constitutes ‘paradise’ to that of TLCB Team. Still, we suppose it’s relative, as compared to a post-apocalyptic wasteland* this roving container town may well be paradise on tracks. Beautifully built, Rat’s ‘Last Paradise’ features remote control drive and a two-speed gearbox controlled via a third-party SBrick bluetooth brick, allowing the town to rove around the halls of TLCB Towers creeping-out the Elves. Whilst we get on with that you can see more of Rat’s wonderful creation on Flickr – click the link above to take a look. You wait all day for an autonomous Volvo concept loader, and then two come along at once. Or so the saying goes. Following the 42081 Volvo Concept set, LEGO and Volvo have teamed up to run a competition to design the Volvo construction vehicle of the future. Here are two entries, each packed with Power Functions motors and remote control functionality, and each looking quietly terrifying to boot. First up (above) is R. Skittle‘s ‘Volvo Proteus’, a fully autonomous self-loading hauler. Many many motors power the loader’s drive, all-wheel-steering, the huge swivelling bucket arm, and the sliding and tipping bucket, and there’s much more to see at Skittle’s photostream. Click the link above to view the full gallery of this superbly engineered creation. Today’s second concept (below) sends Volvo into space, with this enormous ‘Mars Mission’ loader/dozer/tunneller/excavator, all the things required for some Mars-based construction. Built by Desert Eagle (aka Desert752) of Eurobricks this metre-long monster is powered by sixteen motors, with all-track drive, crab steering, a self-levelling superstructure via linear actuators, 360 degree excavator boom rotation with elevation, extension and a synchronised counterweight, 360 degree tunneller boom rotation and elevation, and a drill head that looks like something from your Mom’s Ann Summers chest. There’s a whole lot more to see of both of today’s Volvo concepts via the links above, and you can enter the competition yourself via LEGO Ideas by clicking here. No! Not that hateful game that annoyed everyone on Facebook for about 5 years. Don’t worry, we’re not inviting you to grow carrots or whatever bullcrap that pointless procrastination aid was peddling. Instead we have these two excellent farming machines to show you, both of which come from Kreso007 of Flickr. On the left is a Massey Ferguson 7345 combine harvester whilst on the right is a John Deere 9460RT, and there’s more to see of each by clicking here. If The Lego Car Blog Elves were to design a car, it would probably look a lot like this. Flickr’s Redfern1950s is a favourite here in the office for his wonderfully whimsical cartoon creations. This is his latest, which – somewhat unnervingly considering the sentence above – is loosely based on a real-life vehicle. With independently powered tracks providing remote control drive and skid steering the Elves were most excited by its arrival at TLCB Towers. Until it ran them over of course, but frankly they should have known that was going to happen by now. There’s more to see of Redfern’s delightful ‘RC Off-Road Hot Rod’ at his photostream – click the link above to make the jump! It’s been a while since the last Elven smushing, but fear not readers – the little scumbags were back on form this morning. 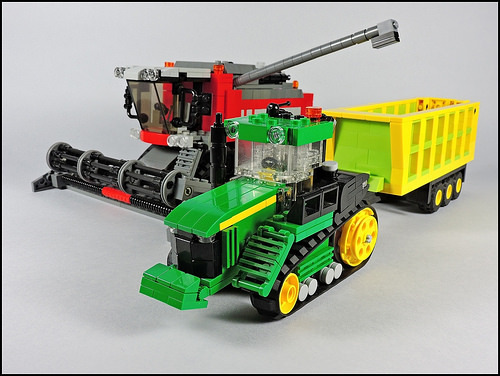 The culprit is this; a magnificent Mad Max-esque ‘Ripsaw’ tracked ATV built by Technic BOOM of Eurobricks and Flickr. We now have one very happy Elf to feed a meal to, and several very unhappy Elves to glue back together. Whilst we do that you can see more of Technic BOOM’s remote control Ripsaw, including a video of it off-roading, via the links above. OK, we can fit one more in! This top-notch old-school crawler crane comes from previous bloggee de-marco, and like his previous builds he’s made video instructions available too. 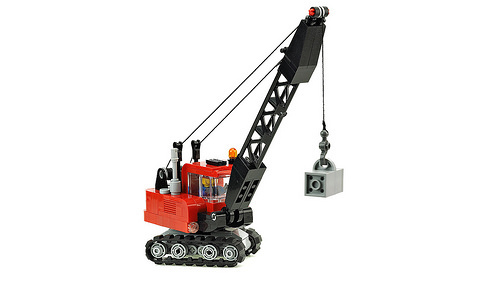 Take a look via the link above and you can watch the ‘How To’ video to help you build your own crawler crane below.